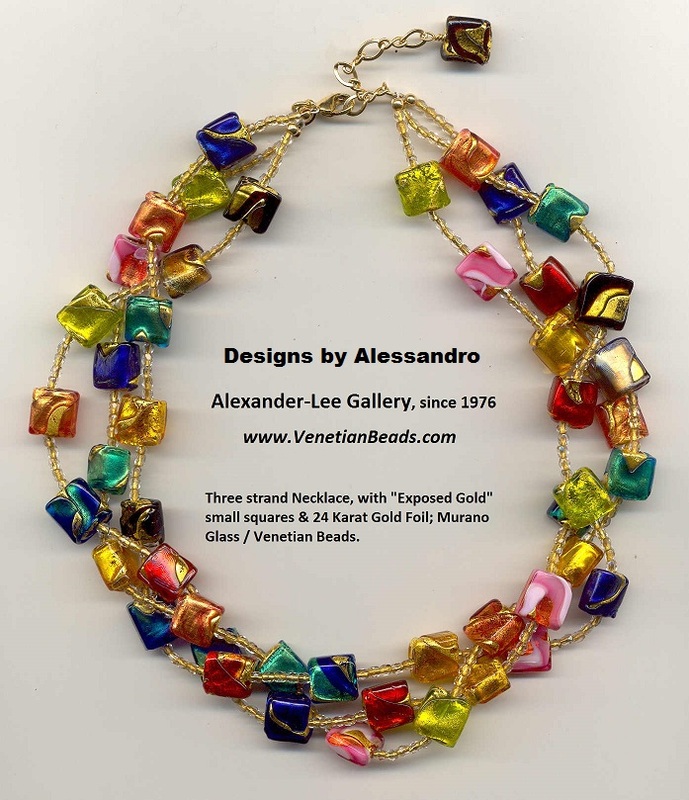 Italian Bead designer, Alessandro, has been making and designing Venetian bead jewelry for over thirty-five years. He uses only the very finest Murano Glass and authentic Venetian Beads in all his original designs. Each designer item below is custom made to your specifications when ordered, and therefore, are not returnable. Alessandro is a top designer and his necklace, earring and bracelet designs are the best on the market, and priced at much lower prices than other premier jewelry designers. Please scroll below to see some of his outstanding jewelry.